Henk den Besten is a pharmaceuticals supply chain expert. His current role is with the Partnership for Supply Chain Management, employed by John Snow International. Activities include Strategic Supply Chain and procurement support for SCMS, the PEPFAR supply chain project funded by USAID. 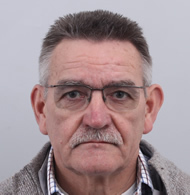 Henk has been involved in the setting up of local supply chain solutions using existing private sector supply chains in target countries and recently worked in Tanzania and Ethiopia. He has also been involved in strategic procurement activities, including sourcing of essential drugs, meeting USG quality requirements in India, China and other countries; mapping the supply chain of active pharmaceutical ingredients (API’s) and starting material for pharmaceutical products, in China, India, Korea and other countries. He has undertaken missions for the World Health Organization, Ministry of Foreign Affairs in The Netherlands, World Bank, Danida, The Global Fund and others. From 1980 – 2005, Henk was Managing Director of IDA Foundation in the Netherlands, the world largest not for profit Essential Medicines Supplier and from 2006-2011 Managing Director of i+Solutions, a consultancy firm aimed at improving access to quality health care services in low and middle income countries, with partners including USAID, WHO/AMDS the Ecumenical Pharmaceutical Network, Johnson & Johnson, Novartis, Unitaid, The Global Fund for AIDS, TB and Malaria, MIT Zaragoza, O3i and RBM.